X Games, the annual event, controlled and arranged by the U.S. sports broadcaster ESPN, focuses on action sports. 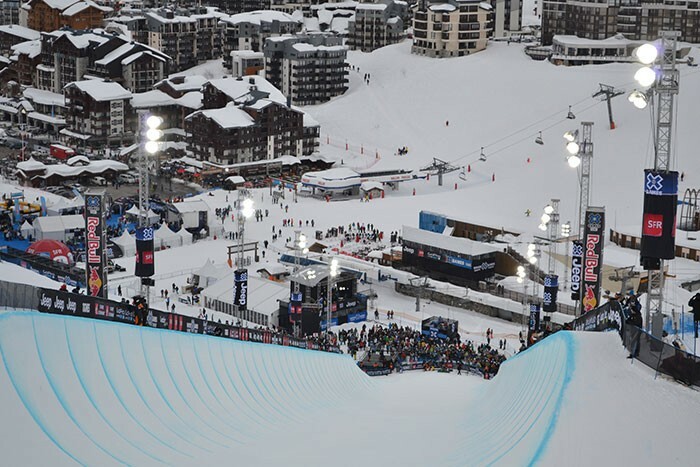 Inaugurated in 1995 as two seasonal events, for the fourth year the Winter X Games moved outside the US to the skiing and snowboarding haven of Tignes in the French Alps recently, where more than 125 athletes from all over the globe competed. In addition to X Games Tignes, 2013 is also the first year that the event has gone truly global, with other events taking place in Aspen (USA), Foz De Iguaçu (Brazil), Barcelona (Spain), Munich (Germany) and Los Angeles (USA). Brought in to assist with the sophisticated audio signal distribution was experienced rental company, Gilles Bouvard Events and Entertainment (GB4D) — who are specialists at big event productions of this nature (working in extreme conditions). Bouvard has long been an advocate of Optocore’s optical fibre network solutions, and once again a large deployment of the German company’s interfaces ensured successful signal flow within a redundant system. 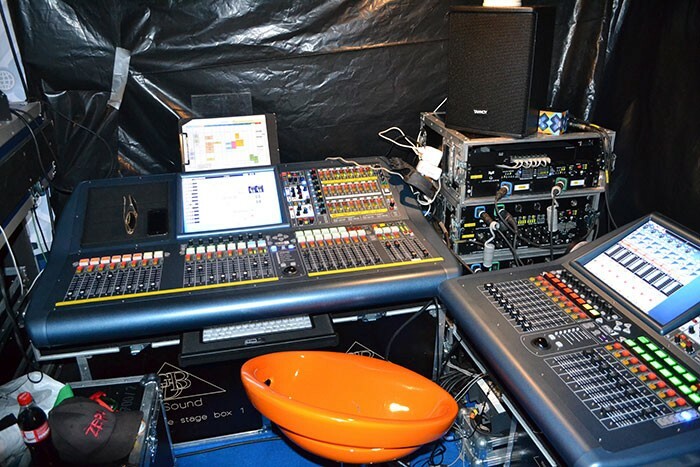 The event in France was co-produced by Canal+ Events on behalf of ESPN, and GB4D provided virtually all the audio equipment for the competition zones, to assist A+ Events. This included the control tower audio boards and FOH equipment, the fibre network, the PA, cabling and some of the freelance technicians. They also provided the event video distribution. The audio transmission was based around two Optocore loops — one ring for the Super Pipe competition area, with five X6R-FX network converters for the main PA and one for the VIP area, and a second for the Slope Style competition area, with two X6R-FX interfaces. The master control room was equipped with two DD2FR-FX (offering MADI ports), two DD32R-FX (AES-EBU) and an X6R-FX — and the entire Optocore system was controlled from a single desktop PC. For signal transport, since the distances between nodes were long, GB4D used mainly 300m Neutrik XTREME fibres for all links. The primary ring measured a distance of 2.1km and the secondary 600m (constructed around 12 nodes, plus spares). L’Acoustics LA8 and Lab Gruppen PLM10000Q amplifiers fed the main PA hangs and the Super Pipe’s deck fills were remote controlled via Optocore’s LAN. 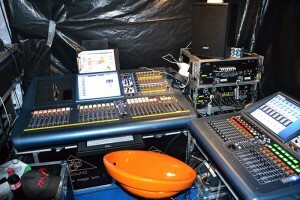 GB4D designed a redundant FOH position, deploying two Midas digital desks, fully backed-up. Gilles Bouvard compared the challenge of working high in the Alps, with the opposite climatic extreme — since GB4D recently deployed a vast Optocore and BroaMan network over a huge distance for Kuwait’s 50th Constitution Day celebration. “In fact there is little difference,” he said. “On the one hand we have the high temperatures and sand storms, on the other the very low temperatures and snow. We find ourselves in two similar extreme situations and we have to find reliable solutions. He added that technicians, François Lund, Patrice Giono and Piotr Skotnicki had worked at X Games Tignes since its first appearance there in 2010; all three are certified Optocore technicians, and were again responsible for realising the design, implementation and operation of this year’s event.